Leave your all frustration of heavy traffic and waiting behind you. You don’t have to take any risk to miss your flight. We offer executive class Airport car and limo services to Boston Logan Airport, T.F. Green Airport, and many others. That’s why you can always rely on Patriots Limousine to provide comfortable and reliable transportation. We can pick and drop you off at to Shrewsbury, Worcester, MetroWest, Boston, Marlborough, and Framingham. Not only have these but also covered Grafton, Westborough, Newton, Natick, Milford, Providence and more places around the USA. You can avail our hourly rates services for any occasion. Patriots Limousine offers Limo service MA for Boston concerts, sporting events, Red Sox transportation, and more occasions. You will find our vehicles as air conditioned and 2-way radio system equipped to monitor flights and traffic congestion issues. Infect, we provide everything from airport transfers to special event transportation. Whenever you are looking for exceptional ground transportation, you don’t need to look further than Patriots Limousine. Because, we offer luxury limo service MA in Massachusetts, New England, and the other surrounding regions. Whether you are planning an exclusive trip alone or with a group of people we can cover you. Even if your plan is to move toward the Boston Logan airport or making travel plans for 100 people. We make sure you are riding in a classy vehicle which can make your special occasion unforgettable forever. We are especially known for providing elegant transportation for your wedding parties. Patriots Limousine provides you professional Boston Logan Airport transportation for personal and business travels. We are equipped with a fleet of safety-inspected, well-maintained, including late-model, luxurious vehicles, private town cars, and well-appointed limousines. Not only these, for your big- group movements we serve you with vans, and bus service. Our buses are for up to 52 passengers. We serve to individuals, organizations, and businesses that need exceptional and reliable ground transportation. Patriots Limousine will take you, at your convenience, to your destination. Even if be at a conference, a roadshow, Disney World, or a corporate event you will be served. Our high valued clients can always rely and count on our professionally trained chauffeur. They can pick them up promptly and drop them safely to the airport of their choice. And then take them back home, in comfort and style. Forget all about surprising delays, flight changes, and cancellations. Limo service MA uses the latest flight tracker technology to stay on top of our clients’ flights schedule. That’s how our valuable customer can rest assured that their limousine service is already there for them when they reach. We had known as a company that indulges with corporate travelers of all kind of variety. If you are an ambitious advertising executive who needs to travel to Boston-Logan Airport to get on a flight. Whether your need is France, Paris or Illinois, Chicago, we gladly fulfill your transportation needs impeccably. Our dedicated professional staff can manage your event from start to end, and make it breeze. Whenever you need to go downtown for a conference in your industry, we can get you through there. If you want to travel outskirts of Beantown to participate in a business meeting with a real potential collaborator, Limo service MA can definitely come through for your pick up as well. 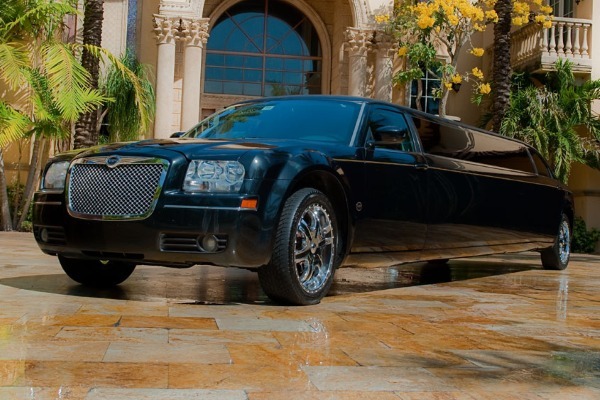 Limo service MA offers an easy online reservation system and confirmation systems. These can make every trip as smooth and worry-free as possible it could be. Especially, occupational travelers can save their precious time and money for their airport transfers. If they use our easy-access corporate billing system and scheduling system things will get even more comfortable. If you are interested in the greatest corporate travel transportation in MA, we have good news for you. It is Patriots Limousine’s high standards of attention, hospitality, and professionalism to details that make us the top and perfect choice for every corporate transfer resolutions.